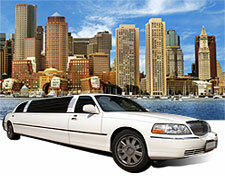 NCS specializes in boston limo services, Logan Airport limousine, and massachusetts limousine services. We are a boston limo, limo in boston. NCS provides Boston limousine transportation for thousands of clients around the city of Boston and the greater Boston area. 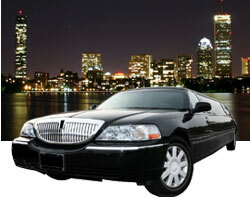 In addition, we have provided Massachusetts Limousine services for thousands of clients in Massachusetts and New England. Just name the place, and we will tell you that we have been there. We have provided Boston Limousine services in all areas or transportation, including Logan Airport limousine packages, a Night on the Town, concerts, theater, the arts, holiday scenic tours, and any other special events that you can imagine. In the area of special events like wedding limousine services, we can put together custom packages for the bride and groom exclusively or wedding packages that include the whole family. Whether you are in need of prom limousine or wedding limousine services, we want to make your event fun, comfortable, and carefree. When we come to pick us you and your party, you will be greeted by an impeccably dressed, professional chauffeur, and be escorted into a state of the art Boston limousine. Wherever you go from there, you will be riding in comfort and luxury, and you will show up for your event in style. NCS are honored to present our services to our customers with the finest limousines, vans, sedans, and SUVs and an impeccable record of client satisfaction. Our Boston Limousine services include airport transfers, corporate events, business meetings, anniversaries, proms, special events, ladies night, a night out on the town, and city tours. 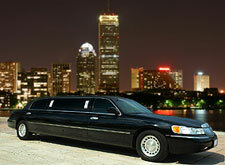 There is so much to do in Boston and Massachusetts, let us be the ones to take you there in style. If you want to go enjoy the holiday scenic tours and the Christmas lights, let us provide you with the Boston Limousine ride so that you can sit back and take pleasure in all of the sights. With our Boston Limousine services, you can just sit back and enjoy the trip down to Fen way Park and not have to worry about traffic, parking, and driving directions. Now with us, you can just get comfortable and enjoy the ride while leaving the work up to us. When you arrive at your preferred destination, you will be showing up in style. NCS is a Boston Limousine provider for airport transfers, prom limousine, weddings wedding limousine, and hotel limousine services. 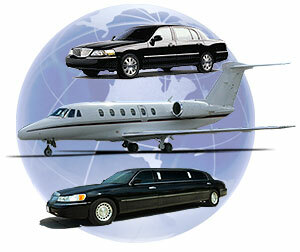 In addition to our areas of expertise, we can serve the needs of our customers for virtually any transportation need. 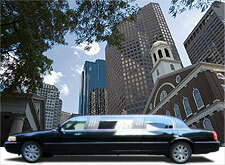 We hope that you call us today to find out more about our Boston Limousine services.